It’s a New Media, New Video World. Video is a communications technology that is changing everything. I ought to know. I have been thinking, writing and speaking about the digital video revolution for decades, literally. Stellar creativity, an approach that grabs your attention right from the start, and crisp, on-target writing (for example, “the stool for better stools”) make this marketing video a true stand out. There’s no question that this video works amazing well. 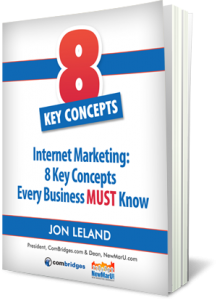 The close to 9 million views at the time of this writing, place it head and shoulders above almost every marketing video of a similar length in terms of performance and reach. And, it’s fun to watch, which is obviously a big part of why it’s working so well. 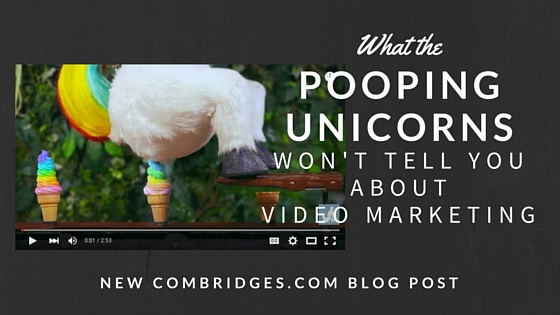 But the pooping unicorns video WON’T teach you about the ways that authenticity, human connection, relationship building are at the heart of video marketing. To me, that’s the important stuff; and you will find more about those kinds of things below. Nick DeMartino has been a video innovator for decades and we’ve shared information and a friendship that spans his whole career. It was a pleasure to spend more than an hour with him via a Blab.im video chat discussing, among other things, some of the trends that I illuminated in my Commonwealth Club talk. This interview includes lots of resources as well as insights. For your reference, most of the URLs discussed are in the YouTube description. Enjoy! I look forward to your feedback either directly via our contact form or via the social media links above. And if you are ready for support with your video marketing, your social media strategy or your web presence, please contact me. I look forward to hearing from you and to answering any questions that you may have. Live SF Event: The Future of Digital Video & Social Media at Commonwealth... Squarespace Website Quick-Start Webinar: Free. Next Thursday.